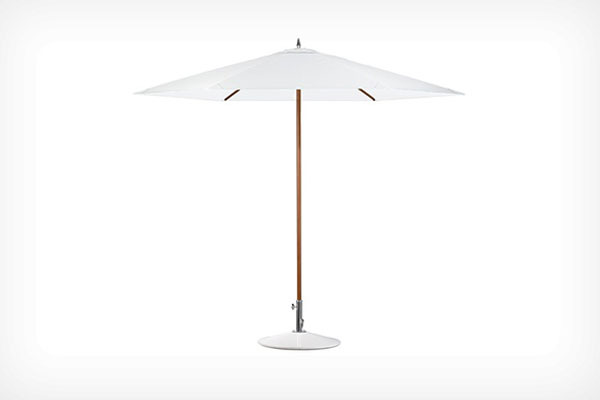 Don’t be deceived by the elegant lightness of Dedon’s Parasol appearance. These sunshades are remarkably robust and functional perfect for our South Florida climate and those often welcome breezes. They open with ease thanks to an ingenuous pulley system. Their UV-protected, easy-care canopies repel dirt and water. 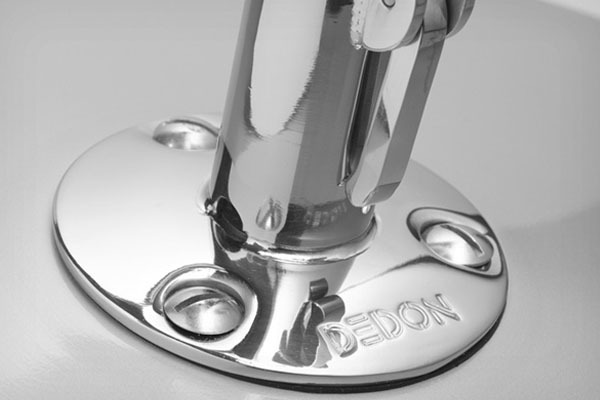 All materials are of the highest quality, right down to their marine-grade stainless steel fasteners. 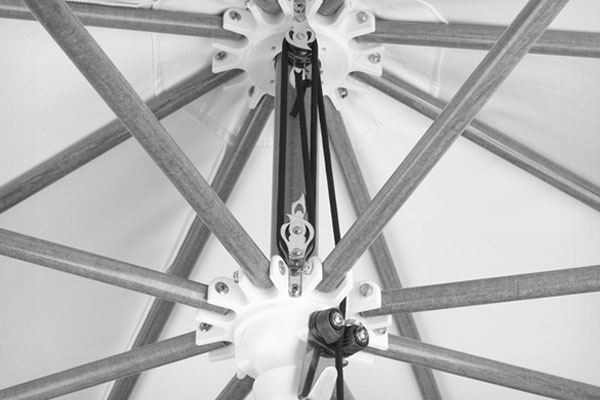 The Hexagonal parasolsunshade features a white or silver hexagonal canopy of top-quality Batyline® fabric. Its sturdy pole consists of teak-finished fiberglass for the white version or a mirror-polished aluminum for the silver version. The finishing of the canopy features coating of varnish on exterior face. With an optional base trolley for easy transport is available. 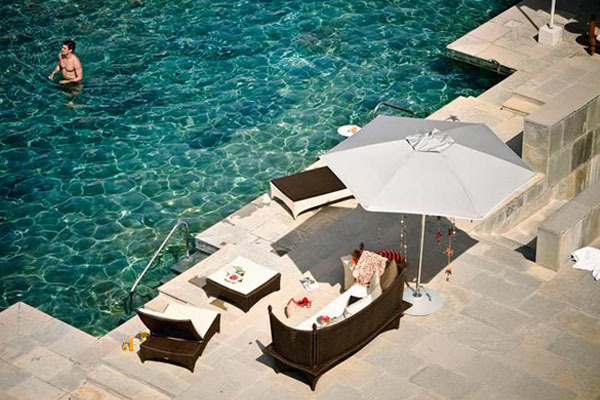 Easily maintained the Dedon’s Parasol can be washed regularly with fresh water when close the ocean, its base with soap and water, using a nonabrasive cloth or pad. 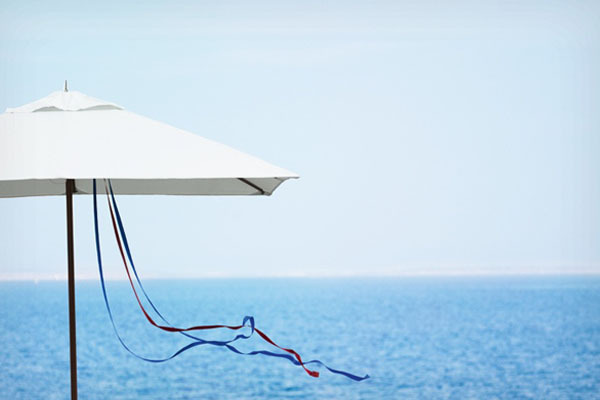 As always the he particularly delicate and light appearance of this Dedon sunshade combines Dedons’s highest demands for quality and design with functional construction, and offers a stylish yet robust solution to your shade requirements. 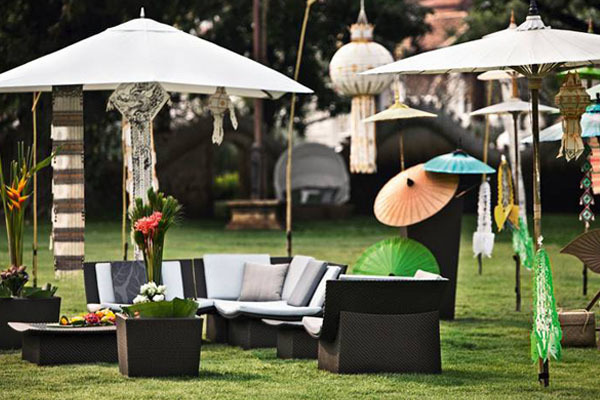 For more Dedon’s outdoor living visit ou Miami Outdoor Furniture Showroom for additional information contact us. Have a question? Or want to learn about discount pricing?